Our breeding pair 13 / 2019 is updated at our web page, and consit of two very nice added One Loft Racer from Ostseerennen OLR 2018. This pair is based on Steffl very best OLR bloodlines were you can find many strong results and OLR winners in their pedigrees. 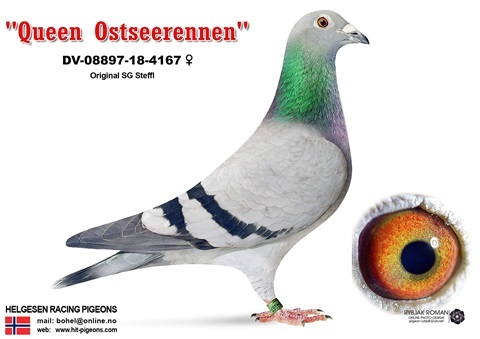 The sire "Gomez der Ostsee" is a direct son of «Königin der Ostsee» who won a 1st prize in the Ostseerennen 2015 («Königin der Ostsee» is the hen in Steffl's famous "Giant Couple").